Sam Burton used to sneak sessions on an off-limits guitar while his stepdad was at work. He credits The Beach Boys with turning him on to music and participated in a Velvet Underground tribute show with his killer shoe-gaze band, The Circulars. As if he wasn’t cool enough, the singer-songwriter is now issuing an EP that is being released on tape. Until Returning, the aforementioned EP, is a progression—stone-cold evidence of Burton’s artistic ascendence. With melody as its bedrock and acoustics its emphasizer, the record plays as easily as the best of its predecessors. (Think Five Leaves Left meets Songs of Leonard Cohen.) 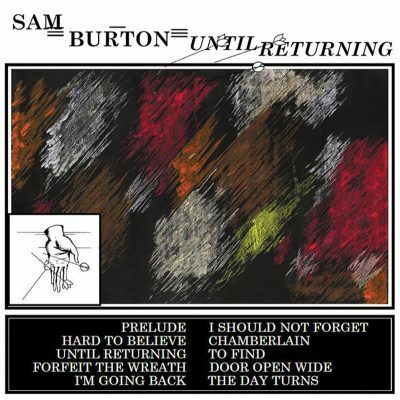 However sonically languid, Burton is not aimless; to the contrary, he arrives more realized and structured than ever before. Until Returning is a return in and of itself—to tape and the lost art of listening. With the advent of iTunes, the purchase and gleaning of an album in full has been rendered obsolete, instead postulating the idea that we filter our anthologies and cherry-pick the art. In this light, Burton’s EP is not only welcome (Until Returning has already sold out of its first edition) but supremely gratifying. From “I’m Going Back” to “The Day Turns,” from the title song to the instrumental “Prelude,” the tape is seamless and doesn’t warrant a skip button.